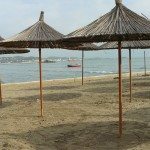 When we were heading to Albania we were quite unsure what to expect. It was one of those countries where there was not a lot of information. Before 1992 tourism was minimal and even now not many people visit. 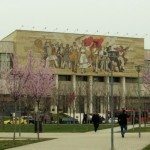 All we had really seen was the representations in the movies of Albanian Mafia Mobsters and a few blog posts from people who had visited Tirana, the capital city plus a couple of other places. 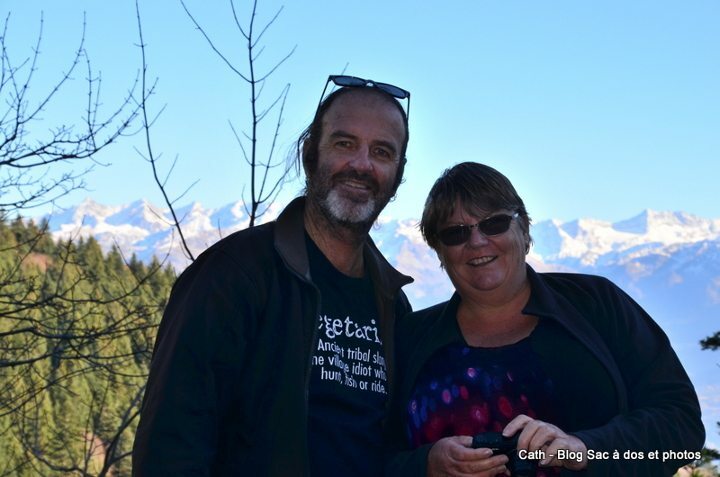 So we were apprehensive but decided to go anyway, worst case scenario we decided we could get across the country in two days so if it was that bad we could head to Greece….so what did we discover. 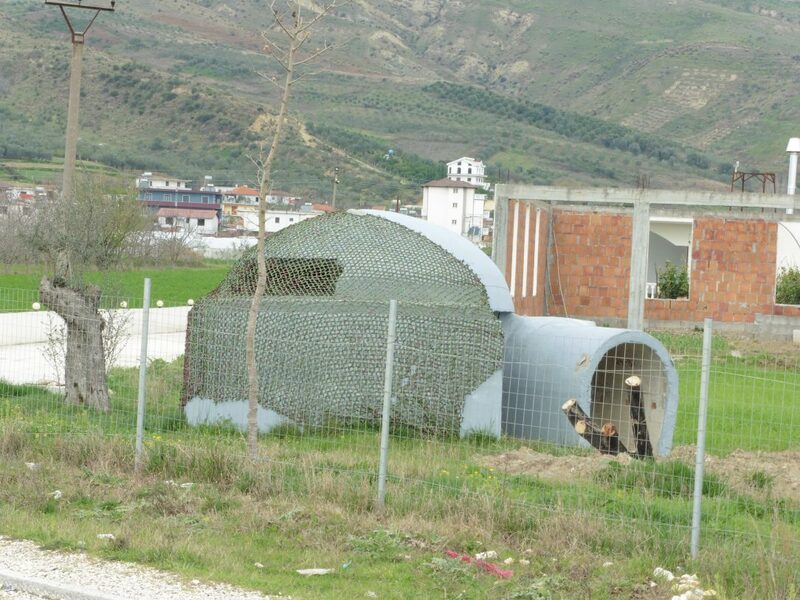 The first thing you notice when you cross the border into Albania are concrete bunkers. With nearly two hundred thousand bunkers roughly six per kilometer they re impossible to miss. Built during the communist era for protection against invading forces, they are a unique reminder of the Communist era. What I found most fascinating was the way the locals have managed to transform them so they are both useful and some quite beautiful. From animal shelters to painted art works some really brighten up the landscape. Before 1992 the only people who had cars were Communist Officials, so the roads they used were well cared for the rest were basically not more than tracks. The locals used all sorts of transport horses and carts (which you can still see in some areas), donkeys and of course bicycles. 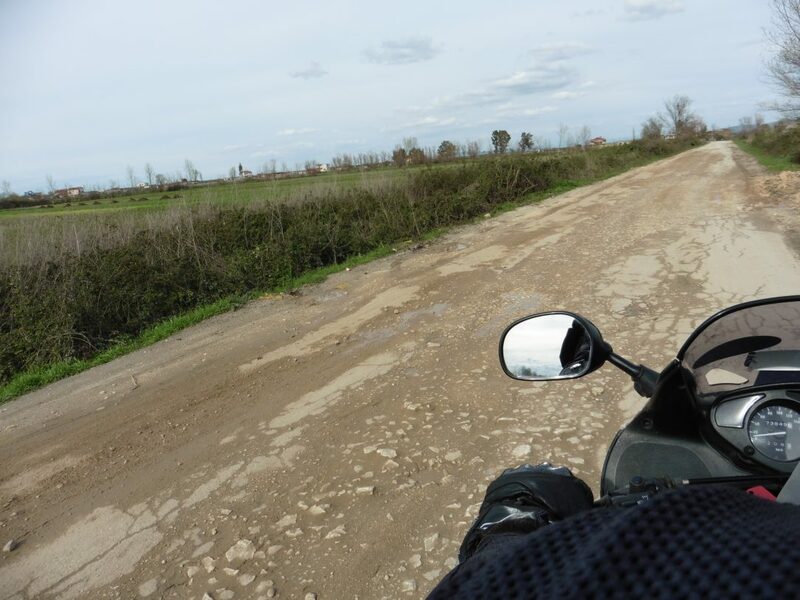 While the roads are still pretty bad, some of the biggest potholes we had ever seen in our 3 years on the road were in remote parts of Albania. Not only are the roads pretty average, there is also challenges with road users, Today many people on the road do not have licences so the bigger and more expensive your car the more you get away with. So if you see an expensive car it is always wisest not to get too close as they expect you to get out of their way and can be erratic on the road. Wherever we went in Albania, we were made welcome. While most people do not speak a lot of English everyone tried to communicate. We were given cakes we did not order and we even had strangers who never actually spoke to us in the cafe pay for our coffee in Gjirokaster. 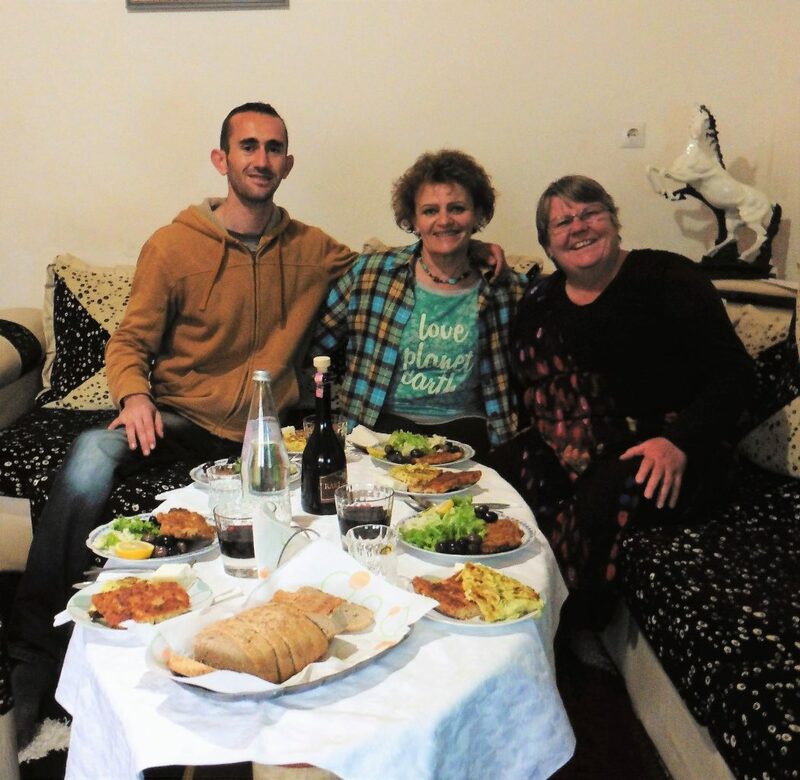 For us though the most rewarding experience was couchsurfing with a lovely family in Berat. Isuf and his mother welcomed us into their home and treated us like family. We were given a personal tour of the Berat Castle and shared many happy meals. As always the memories of our time together will remain with us. Like most of the Balkan Countries, Albanians make their own Liquor called Rakija. It is a fruit brandy normally made of apples or other fruit and is a clear liquid with a very high alcohol content. Almost every cafe or restaurant we stopped at gave us a nip of their own brewed Rakija, always accompanied with the statement ‘Mine is the best Rakija in Albania” Some was really rough and some was really good, but we always took it politely with a smile and assured them it was very good. There is also a belief that it is good for your blood, so even when our couchsurfing hosts were heading off for a bus at 6.30am we shared a Rakija before they left. A few hours later we headed to a cafe about 9am for breakfast but they did not serve food so we ordered coffee (which came of course with rakija). I have to admit I am unsure how the owner gets through the day as he was walking from table to table having a new shot with every customer. 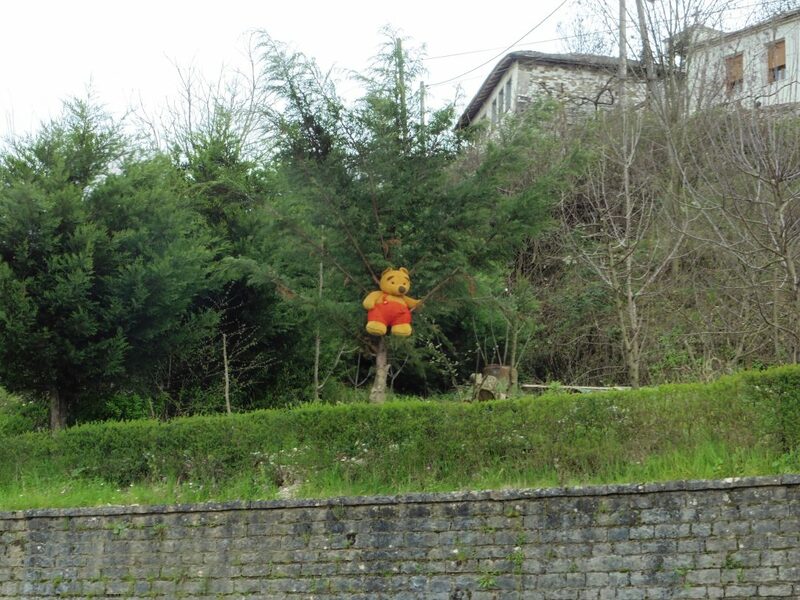 As we traveled through Albania we started seeing stuffed animals and plastic vegetables hanging in many places, some on new buildings, outside businesses and in gardens. We were intrigued and could not work out why however we soon discovered this tradition goes back many centuries. 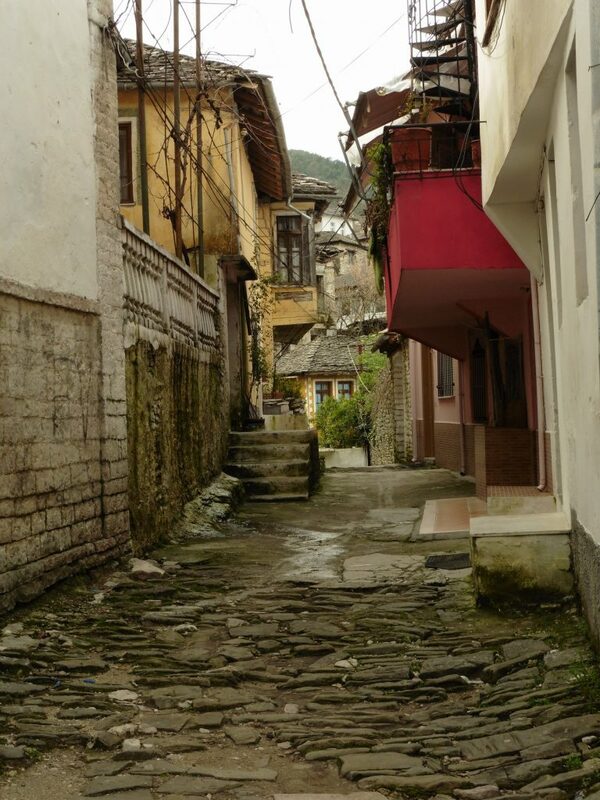 Albanians are very superstitious and believe that passerby or their neighbours want what they have. So they need to protect their homes from the ‘evil eye’.Therefore if you have a new house or are growing a garden and it is thriving it needs to be protected and this is done by hanging a stuffed animal to divert the gaze to that instead of the garden. As Australians we love souvlakis, the Greeks introduced them to us when they migrated and we have adopted it as our own. Everyone has their favourite souvlaki shop and w often head there for a ‘late night lamb sandwich’ after a night out We were really looking forward to trying souvlakis in Greece and we were very excited to see them in Albania. However we were surprised at how different they were, first of all in Australia they are made of lamb but here they are made of pork or chicken. We have oure with a garlic yoghurt sauce and theirs is with tzatziki (almost the same) but the biggest difference was they add chips before they roll it up, now sometimes we have them on the side but never in the souvlaki. The verdict….they are pretty damned good!! 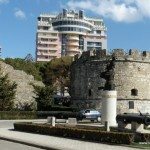 As Albania has had a variety of rulers over the centuries, the country has a history of different religions from Catholic, to Orthodox to today’s majority Muslim population, During the Communist era religion was not encouraged and many religious buildings were turned into barns and other ‘useful’ things. Since the end of communism many have been reclaimed and are now back to their original purpose of worship but some still remain abandoned and unusable. 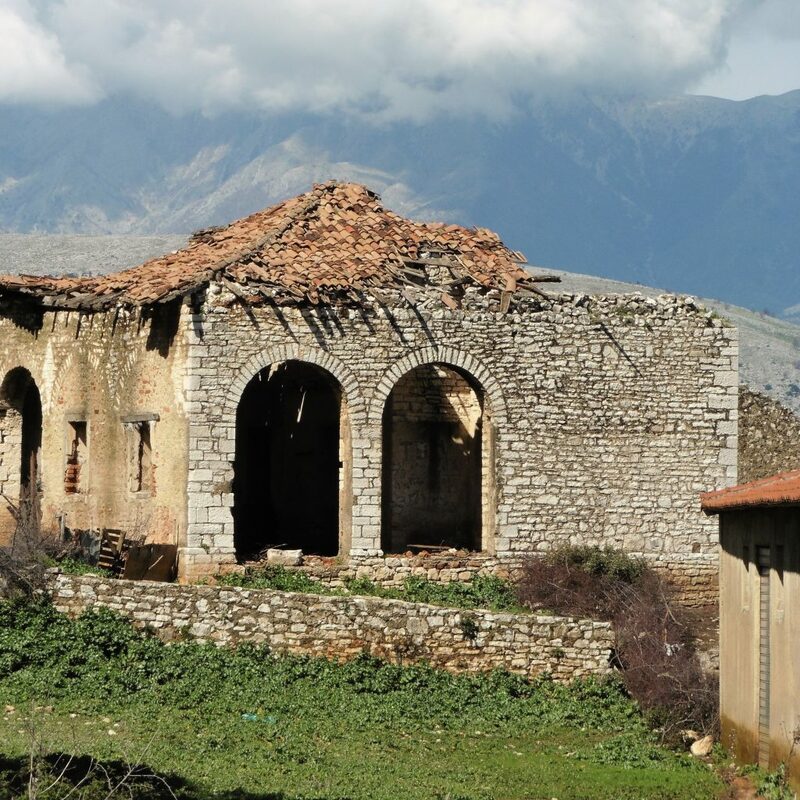 While we were couchsurfing in Berat we were taken to the local church for a visit, still recovering from it’s time as a ‘barn’ it is slowly being restored by the local Orthodox community. It was a filled with many painted shrines that had been hidden during the previous era. However for us the most interesting part was when we left. It was bucketing down with rain and as we left our hosts headed off towards the back of the building, we thought they were showing us something so followed. We then proceeded to promenade around the outside of the church, not once, not twice but three times. We were not sure what was happening but followed along as you do, we then asked ‘What is this about?’. The explanation was that as they leave they circle the church in the name of the father, the son and the holy ghost. This was something we have Albanians not seen anywhere else in the world. Before 1992 Bananas were not available in Albania, when they first arrived, they were so precious (and expensive) they were kept behind glass in the shops where they were sold. Many people were wary of trying them, when we did our walking tour of Tirana, our guide explained when bananas first arrived many of the older Albanians were too scared to try them. I suppose that is understandable when you think about it, they are so different from any other fruit…by shape, by texture and of course by flavour. Albanians normally grow most of what they eat so as the growing conditions are not ideal for bananas most people still do not eat them regularly. While they are now readily available in some more remote places they are still kept behind the counter under glass. We left Albania wishing we had more time to explore, we found it to have a fascinating very unique culture due to it’s vast history. There were traces of Illarian, Roman and of course an Ottoman history along with many places of natural beauty. We hope one day to return and continue our explorations. Your opening photo is beautiful and I loved browsing through your other pictures of this fascinating country! 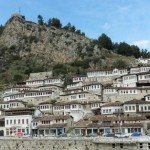 It sounds like tourism is very much in its infancy in Albania which has to have been a huge adventure for you and a delight to discover this remote country for yourselves. Albania now is firmly on my list of “Must Sees” and I’m looking forward to learning much more about it. Thanks for bringing it to life! Glad you found it helpful, it is a fascinating country and well worth a visit. I’ve been wanting to go to Albania ever since I started travelling and I can’t believe I haven’t made it yet! It looks as if there’s lots that’s unique there – I specially like the idea of the bunkers turned into art works. Yes there are some great art pieces hope you make it well worth it. It is amazing what we take for granted growing up in countries where all sorts of food is available. Rakija is good but very potent. A friend of mine was just in Albania. She even had emergency surgery there and was impressed by the level of care she had… and the price! Her posts about Albania have made me really want to go. It was not even on my radar before! Yes I saw her posts,I m glad she is healing well. It is a lovely country we really want to get back there one day. As an American who is still dreaming of visiting Australia… you really caught me off guard with the souvlaki stuff. Never heard of it. Not in my whole life. 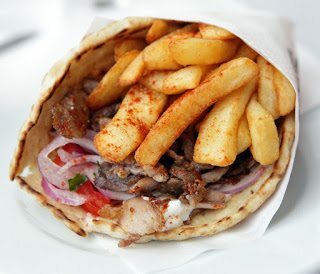 I’ve heard of gyros, but not these… Now i am absolutely ravenous to TRY ONE! The difference is gyros are on a rotating grill thing and they slice it off souvlaki are cubes of marinated lamb (in Australia) cooked on a grill. Both a delicious…. 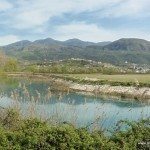 Albania sounds fascinating! 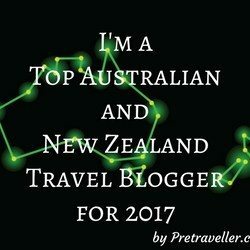 Is it cheap there and is it solo-traveler friendly? Thanks! Hi Therie I have read of solo travelers going and having a good time so I would say yes. The locals are very friendly so I am sure they would make you welcome. Wow! 200 000 bunkers? 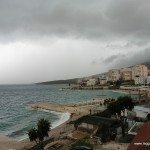 Love the pictorial tour of Albania, the photos are great and the post is very well detailed, thanks. Will have to try Rakija someday.